In honour of Tata Madiba, and in the spirit of Ubuntu, the Kirkwood community hosted a cleanup for Mandela Day this year. Participants from three local schools geared up on the last day of the second school term to clean up their school and surrounding areas. The event was coordinated by Suncitrus in collaboration with The Waste Trade Company. St Colmcille Highschool learners were up first. 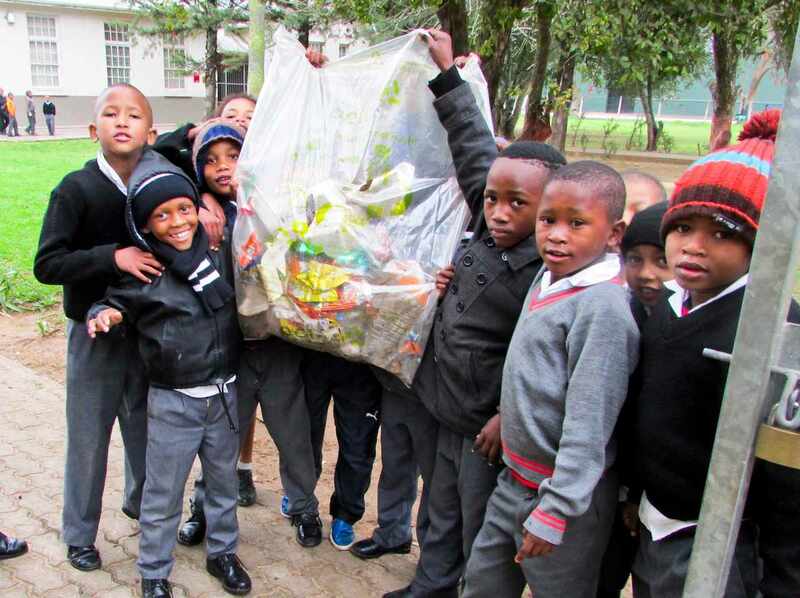 Their 67 minutes were donated to clean their school grounds. 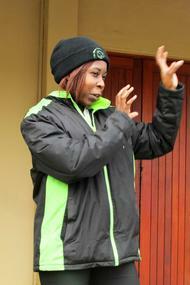 Soon after, Rietberg Primary learners explored their school grounds as well as neighbouring streets for litter. The event ended with Kirkwood Highschool learners. 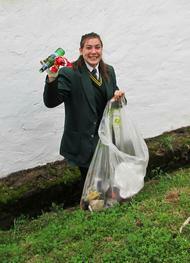 Learners from grade 11 and 12 participated in the cleanup. Det Bakker from SRCC, also a popular role player in the upliftment of the Sundays River Valley Community, assisted with supervision at the event for the day. Suncitrus was kind enough to donate a bag of citrus fruit as well as an orange juice for each participant. "I felt that is was important to clarify that learners should not expect material rewards for their contribution, and that the point of the day is to give back to their community. They understood this fully and were very grateful for their gifts," says Sonja Brummer from Sun Citrus. The day ran smoothly, learners enjoyed the experienced and a total of 508kg of litter was collected and dropped at The Waste Trade Company's Addo depot for further separation. "We encourage all our clients to follow the example set by Suncitrus - the only way we can make a positive and lasting change is by investing our time and resources for the greater good. As our Tata Madiba said; 'it always seems impossible until it is done.'" Kay Hardy, general manager The Waste Trade Company.